This website is dedicated to Buffy Summers, the slayer, and her Watcher, Rupert Giles, my two favorite characters from the fabulous television show Buffy the Vampire Slayer. Featured within these attached webpages you will discover a series of original stories depicting the exciting lives of Buffy and Giles as I imagine them. These fanfiction pieces also feature many of the assorted friends we have all come to love, as well as a collection of old and new enemies that share in the adventures of our two intrepid heroes. Some of of these stories date back to the early years of the series. Others center around the characters' lives after the final apocalyptic closing of the Hellmouth, and the subsequent destruction of Sunnydale, California.. Throughout this site you will see examples of original artwork illustrating these stories. These drawings are of my own creation, and were specifically designed to accompany my fanfiction with the hope of providing additional visual interest. As another added bonus, I have included several pages of fun facts, some behind the scenes information about the fanfiction. You will find a variety of background materials for your edification and enjoyment concerning the assorted characters, both new and familiar, and the demons they encounter, as well as the original settings I have created. I hope you find these additional pages full of invaluable information, and visit them during your exploration of the brave new world in which our intrepid Scooby Gang has chosen to live. An Obligatory Disclaimer Why ReVamp'd? 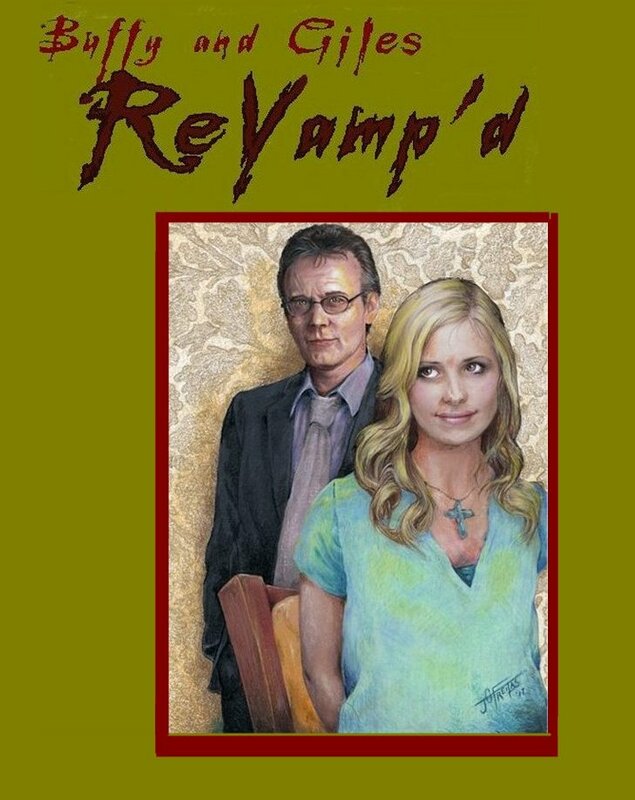 The Art in My Buffyverse How This Crazy Thing Called ReVamp'd Got Started What is a Bonus Read? A Who's Who In The Core Cast of ReVamp'd The New Slayers on the Block What Evil Lurks Here? Magick and Spells In The ReVamp'd World Where The Scoobies Live What's for Dinnner?